In the endeavor to understand and treat Huntington disease, scientists use many different types of research. By volunteering to be part of research, you play a vital role in advancing scientific understanding. Several Huntington disease studies are currently in progress and we always welcome new participants. Observational studies are an important precursor to clinical trials and provide us with useful clinical information about disease progression and potential modifying factors (factors that can modify the course or severity of an illness). These studies document the symptoms and natural progression of Huntington disease in order to later judge the effectiveness of a particular drug or treatment. Observational Huntington disease studies are also important to gain a better understanding of the disease as a whole, and to determine the most accurate tests a clinician can use in detecting the onset of Huntington disease. You are being invited to participate in a registry (list) of people interested in Huntington’s disease (HD) research. It may be that you have a family member or other loved one with HD, or that you may have or are at-risk for HD. If you agree to participate in the registry, your name will be added to a list of people who will be invited to participate in future research studies on Huntington’s disease. Signing up for the registry allows the HD research team the opportunity to contact individuals on the list who may fit a study’s eligibility requirements. In addition to signing up for the registry, there are some questions we would like you to answer. Answering these questions helps us determine your eligibility for our research studies. None of the information you provide us will be used to provide you with clinical care.We will not be creating any medical record or adding any information to an existing medical record for you at the University of Iowa Hospitals and Clinics. Rather, as part of your participation in this registry, the information you provide us is used only to check for your eligibility to participate in our research. There is no obligation to take part in any future research, and you may request to have your name removed from this contact list at any time. Other members of your family are invited to participate in this registry as well. By participating in this registry, you will also receive information on local support groups and newsletters letting you know what is happening in HD research. This list of names will only be used for Huntington’s disease research and communication. With this registry, we hope to increase the understanding of this disease and discover ways of treating it. Click on the link for more information and/or to sign-up. You can also contact Lindsey Fuhrmeister at (319) 335-6640 or lindsey-fuhrmeister@uiowa.edu. Enroll-HD is a worldwide study for Huntington disease family members, collecting data in an effort to improve understanding and treatment of Huntington disease. The study aims to provide clinical data and biologic samples to help better understand the human biology of Huntington disease, as well as determine what interventions work to improve the care of people with Huntington disease and to promote the recruitment of clinical trial participants. Any member of a family affected by Huntington disease can participate, including: those who have tested positive or negative for the Huntington disease gene mutation; those who are at risk but have not undergone genetic testing; and spouses/partners of those with Huntington disease. Participants will undergo a series of tests at an annual visit. For more information, contact Lindsey Fuhrmeister at (319) 335-6640 or lindsey-fuhrmeister@uiowa.edu. Please see the PREDICT-HD website for publications and additional information. Exercise-HD is a trial to determine if exercise may slow the progression of brain degeneration and motor impairment caused by HD. Areas of the brain most affected by HD (striatum and white matter) have been shown to be responsive to exercise. Participants will be randomized to either undergo six months of following a moderate intensity walking exercise or a six-month balance and toning program. Exercise routines will be completed at the participant’s home, and study participation involves two visits to the UI HDSA COE for MRI scans, cognitive testing, brief physical exams and questionnaires about functioning and psychiatric health. Participants will also wear a fitness tracking devise to monitor their activity. If you are a gene-positive current or former PREDICT-HD participant between ages 18-65 and you do not engage in vigorous physical activity more than once per week, you may be eligible to participate. For more information, contact Emily Shaw at 319-335-8765 or emily-m-shaw@uiowa.edu. 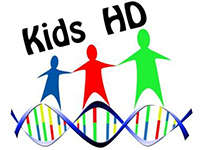 Kids-HD is a brain imaging study run by Peg Nopoulos, MD, and her research team. The study looks at brain structure and brain function in kids from Huntington disease families to determine how the brain develops in those at-risk for Huntington disease from childhood through the course of their lives. Kids between the ages of 6 and 18 who have a parent or grandparent with Huntington disease may participate in this study. Kids-JHD is similar to Kids-HD but for young people already having HD symptoms, and includes a clinical consult. For more information, please contact Sonia Slevinski (toll-free: 866-514-0858) or kids-hd@uiowa.edu. 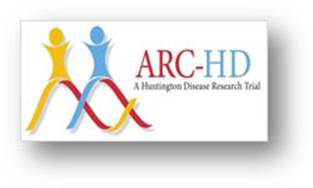 ARC-HD is a phase3 III intervention study, evaluating the long-term safety of SD-809, a drug aimed at chorea. For more information, contact Emily Shaw at 319-353-3861 or emily-m-shaw@uiowa.edu. This study is currently closed to enrollment. HDClarity is a multi-site cerebrospinal fluid (CSF) collection initiative, generating high quality CSF samples that can be used to identify and validate biomarkers for HD clinical development. With several clinical trials in progress and more expected to With promising new therapeutic trials expected to begin in the next few years, exploration of potential biomarkers needs to be accelerated now. There is currently no high quality repository of CSF, and thus HDClarity will provide a repository of CSF in an effort to expedite research for HD. Participants will attend two study visits: a Screening Visit and a Sampling Visit. During the Screening Visit, which may coincide with an Enroll-HD (IRB#: 201302731) visit, medical history, clinical and phenotypic data (including a screening blood sample) will be obtained. These data will determine participant eligibility for participation in the study and will be used in the analysis of biomarker data. Participants meeting the eligibility requirements of the study and willing to continue in the study, will return for a Sampling Visit within 30 days of the Screening Visit. During that visit, biosamples will be collected following an overnight fast: blood will be obtained via venepuncture and CSF will be obtained via lumbar puncture. Participants will be contacted by telephone approximately 24-72 hours after the Sampling Visit. Some participants may be invited to return for an optional Repeat Sampling Visit 4-8 weeks following the Sampling visit. For more information, please contact Lindsey Fuhrmeister at (319) 335-6640 or lindsey-fuhrmeister@uiowa.edu. 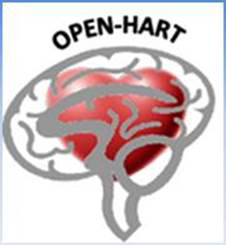 OpenHart is a clinical trial that is looking at how effective the drug Pridopidine is for people with HD. This study is current closed to enrollment. SIGNAL is a trial to assess the safety, tolerability and effectiveness of VX15, a novel monoclonal antibody in people with late prodromal or early manifest Huntington disease. Previous research suggests that VX15 may have the potential to slow the progression of brain inflammation, which has been shown to impair thinking, movement and behavior in HD animal models. This is a Phase 2, multi-center, randomized, double-blind, placebo-controlled study. Individuals 21 years of age or older who are either early in the progression of the disease or not yet diagnosed with the disease may be eligible. For more information, please contact Terry Hayes at 319-384-1008 or terry-hayes@uiowa.edu.This study is currently closed to enrollment.